Everyone wants tight radiant skin, some people prefer dramatic results via surgery while others want a more gradual, natural looking result via natural or non-invasive treatment such as the RF Laser assisted Face and Necklift with Thermage and the NEW Comfort Pulse Technology & ThermaCool® Upgrade in 2018 that offers Thai Medical patients exclusive access to the best option on the market with great results with little or no downtime! 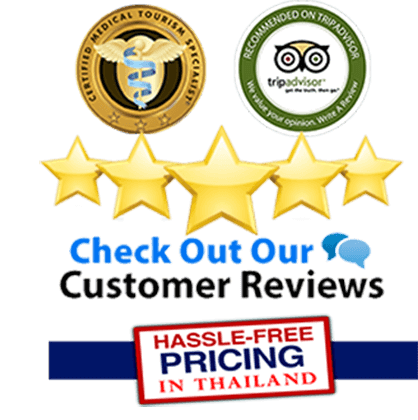 Thousands of medical tourists coming to Bangkok are looking for an effective non-surgical solution especially for short holidays. 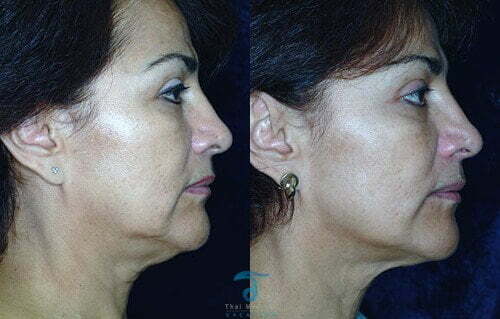 The Thermage Skin Laser is an exciting new non-surgical procedure that offers an innovative way to rejuvenate your skin and especially rhytids on the face..All without any surgery! 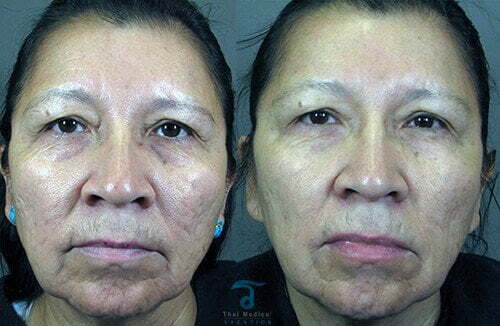 Thermage involves the application of radio frequency energy to your face. The RF energy then strategically heats your collagen and composes your skin. In response to targeted heat, the loose, disorganized and weak collagen will be forced to breakdown and strengthen naturally. 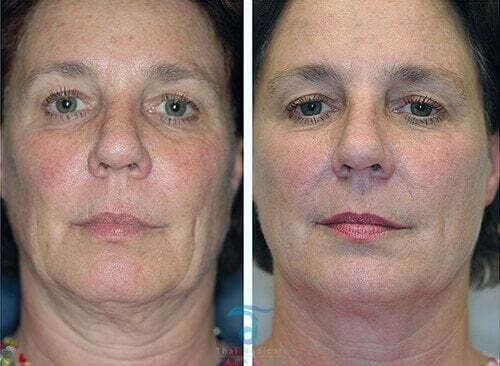 This reaction translates into a much firmer,younger-looking skin and all without any surgery. 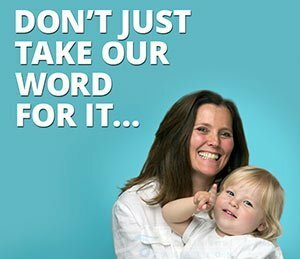 The non-invasive treatment is so easy that you can get have the procedure on your lunch break and quickly return to your normal work, family and/or other activities. What Are The Benefits of Having Thermage w/ ThermaCool? Thermage laser surgery is great because it works just about all people with including darker skin types as those with lighter skin types too. The collagen in your dermis and subcutaneous tissue is a protein that keeps your skin youthful and tight. As you age and get more sun exposure, that collagen breaks down much faster than your body rebuilds it, resulting skin sagging or wrinkles. The Preparation for your full face generally takes about 20-40 minutes. The actual treatment with RF (delivering the pulses of energy) takes about 65-70 minutes. You should try to plan on being at the doctor’s office for about 1 to two hours. You will most likely experience either some minor redness and/or swelling after the RF procedure. Redness can last 1 to two hours after treatment, but sometimes lasts for a 1-3 days. Swelling is also usually mild-moderate, but can last longer. Very mild swelling can be persistent a little longer. Strangely, with Thermarge the more swelling and/or redness you have, the better results you are likely to see. Results vary for different people. Some start to see improvement as little as a 1 week after Thermage. Others begin to likely see improvement after 1-2 months. Improvements can continue for 4-6 months after the treatment when compared to other non-surgical skin tightening options such as Ultherapy. How much does Thermage Cost in Thailand? The prices for having Genuine Thermage in Bangkok with NEW Comfort Pulse Technology depends on the areas being treated. 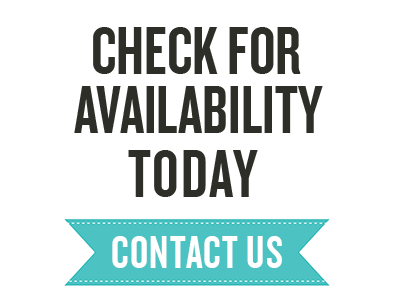 Thai Medical is proud to offer No-Hassle Fixed Costs for all our treatments so to see if you are a good candidate for for ThermaCool and Thermage RF Skin Care solutions please contact us today. 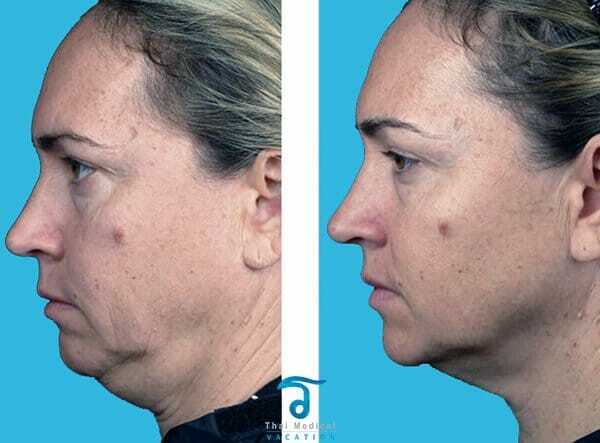 I recently read that Thermage can help facial fat to dissolve after 1 treatment, and that some users did not realize that before having treatment Is this true? also what does thermage skin tightening cost in Bangkok? 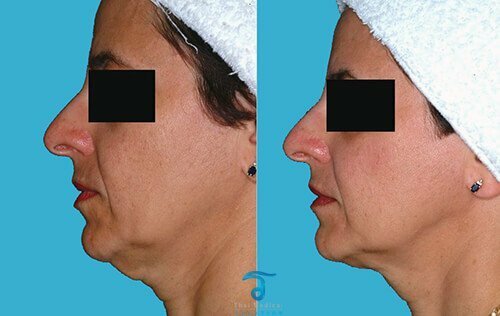 Which is better overal for skin tightening - Ulthera or Thermage? hi Janet, It really depends on the application area, age and health of the patient. But generally speaking both Thermage and Ultherapy can help stimulate collagen but in a different way. Ultherapy uses ultrasound technology and Thermage uses RF for treating areas. Both have been clinically shown to tighten the face, neck and décolletage area. 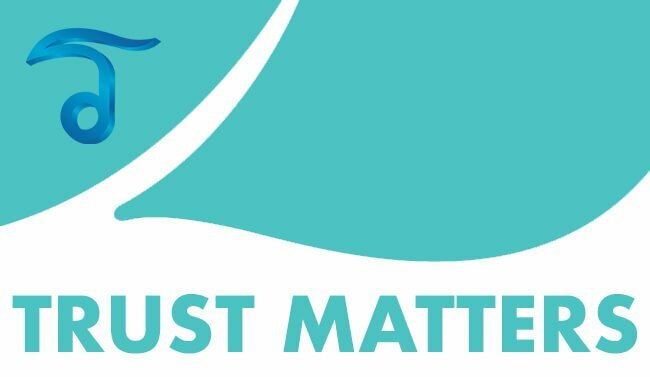 We would be happy to make a recommendation on which is right for you so please feel free to contact us via phone or email.